Ischebeck Titan supplies products and systems for infrastructure projects including rail and road bridges, parapets, abutments and other civil engineering works. 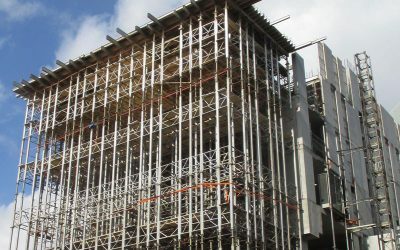 Our products include light weight and heavy duty falsework, heavy propping, bridge falsework, parapet formwork, formwork panels, climbing formwork, large span beams and striking jacks. Our solutions focus on safe assembly and dismantling using our experience of efficient and practical design. Our technical team works closely with our customers to understand the site requirements and develop the most cost-effective solution. Ischebeck Titan is renowned throughout the world for providing some of the most innovative and effective solutions. 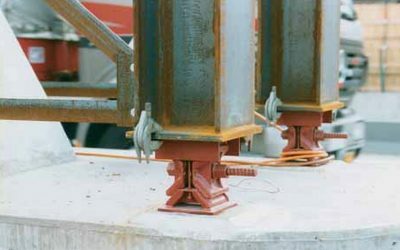 These include a wide variety of support to heavy high level deep slabs, tall walls and unusual challenging concrete structures. We are also experts in ground engineering, structural stabilisation and earth retention solutions. Our high capacity wedge jacks provide a strong, efficient and versatile means of supporting a wide variety of construction elements. They eliminate the guesswork that is prevalent with traditional support methods.